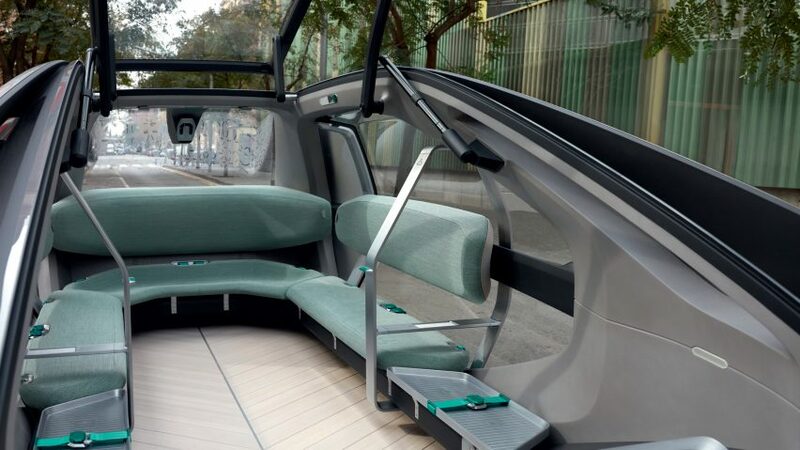 Renault has devised a concept for an autonomous, electric vehicle that would provide city dwellers with an alternative to public transport. 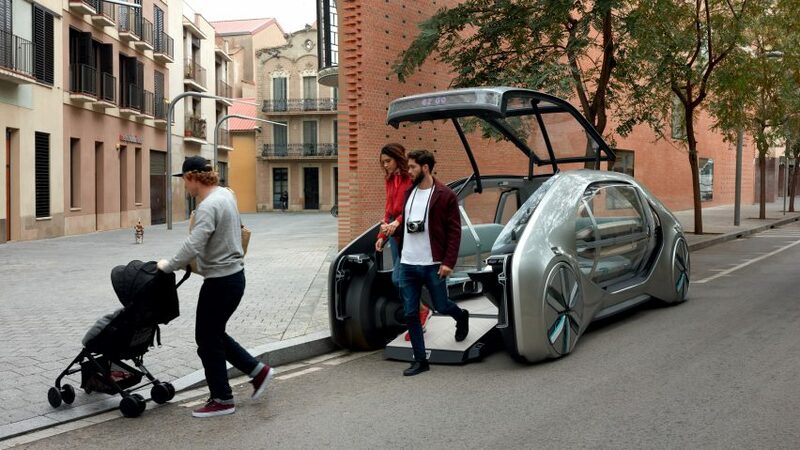 Renault’s Ez-Go concept functions as both a car and an Uber-style ride-sharing service. 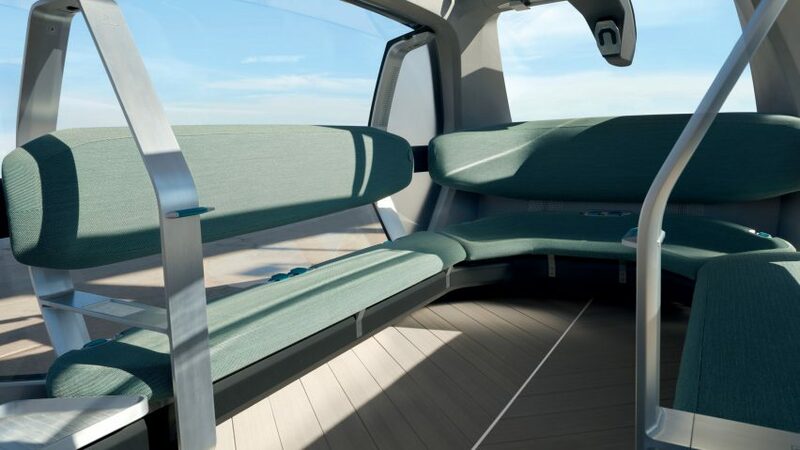 Able to accommodate up to six passengers, the vehicle is designed to be used for riding alone, with friends or family, or shared with other ride-hailing users – who would request the vehicle via a smartphone app. As a service, Ez-Go is able to operate around the clock, working as an alternative to car ownership. Renault also said that it would offer “highly competitive” prices in comparison to existing public transport services – although details about costs are yet to be revealed. The on-demand vehicle can be requested via an instant-booking service app on your smartphones, in a similar manner to companies like Uber and Lyft, or through physical stations. These tree-lined stations are designed to be integrated into the city, and include a screen that passengers can use to book their journeys. They also provide cultural and tourist information about the area. When an Ez-Go is requested to a certain station, its floor extends out into a ramp so that passengers can depart easily. A lifting door that forms the front panel and ceiling of the car opens upwards to reveal a lounge-like interior, which is arranged in a U-shaped configuration so that passengers are faced towards each other. With no driver’s seat, and underfloor batteries in place of an engine, riders benefit from maximum cabin space. Complete with Wi-Fi connectivity and smartphone charging devices, the interior also includes a screen set into the front of the door, which displays information about the journey. A glass panorama roof floods the interior space with natural light during daytime driving, while the vehicle’s limited height ensures it doesn’t spoil outside pedestrians’ views of the city. The driverless Ez-Go features sensors that enable it to manage its distance from the vehicle in front, stay in lane, change lanes, and turn at a junction entirely on its own. To ensure passenger safety, the vehicle has a limited speed of 30 miles per hour. A light strip at the front of the car shows when the car is in autonomous mode and displays messages to tell pedestrians when they can cross the road. Outside, sounds are also emitted to signal the vehicle’s presence to pedestrians and cyclists. 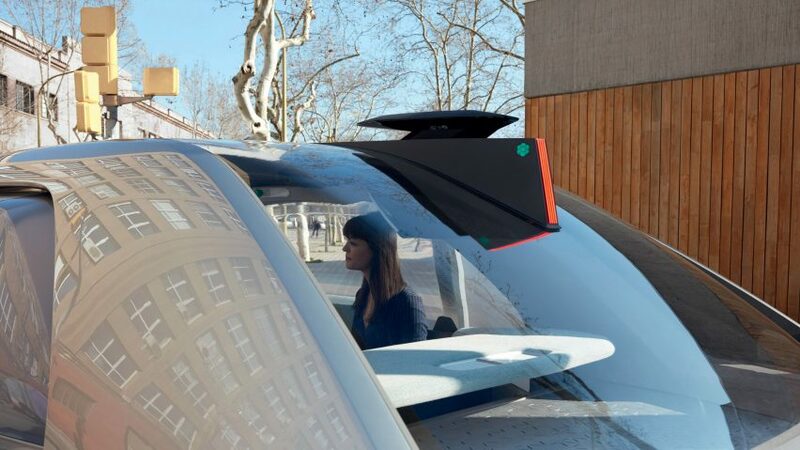 As a mode of shared transport, Renault hopes that Ez-Go will alleviate congestion, as well as improve noise and air pollution in cities. 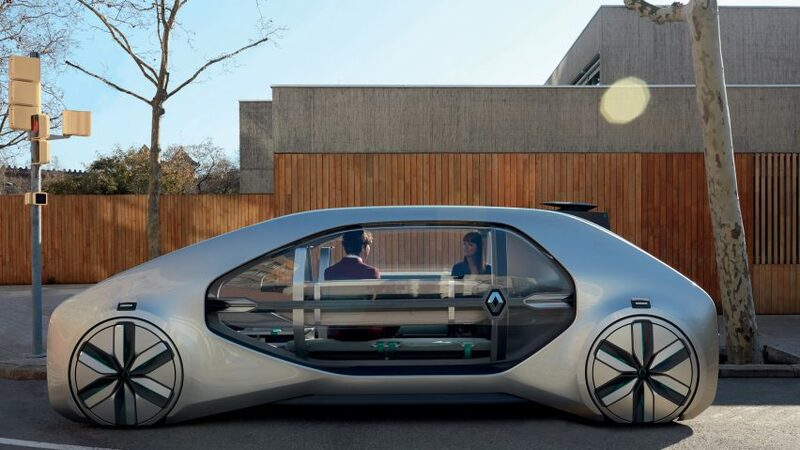 The concept is part of Renault’s ultimate aim to launch a ride-hailing service and robo-taxis by the end of 2023, with the firm hoping it will become a part of the smart city ecosystems that are currently being developed. According to Renault, Ez-Go is the first of a whole range of concept cars that will be introduced throughout 2018. 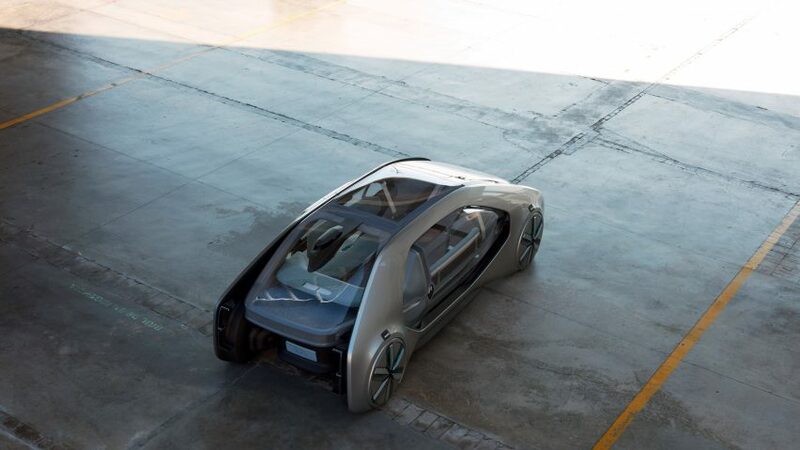 In September 2017, Renault presented its vision of the future of personal mobility at the Frankfurt Motor Show with the Symbioz concept – an autonomous, electric concept car that becomes an extension of the connected home. 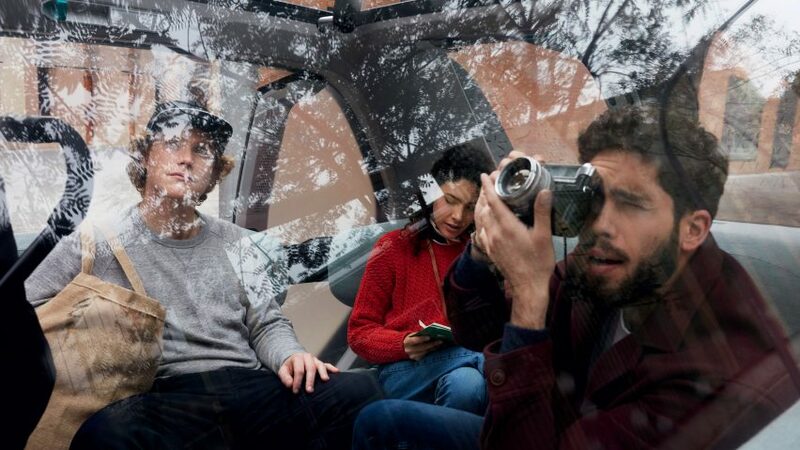 This year, the company have moved onto exploring the future of shared mobility, and the Ez-Go concept has been revealed ahead of the Geneva Motor Show.